The story of the Harwood Historic District is a story of change, adaptation and resilience. Once located in a quiet area on the outskirts of a frontier town, Harwood Street quickly became a major spine connecting people with places. Wealthy neighborhoods to the south were connected to important municipal, fraternal and religious destinations; entertainment facilities were connected to scene shops and studios. Harwood Street influenced businesses — and city government itself — to relocate east from the traditional city center. With each new structure rose more impressive architecture. History was not always kind to the district. As each successive building boom brought change, structures and businesses were lost to progress. The area adapted as the great houses of entertainment and retail were replaced with modern offices and parking structures. Harwood Street’s significance dwindled as transportation choices changed. A struggle for survival ensued as the inner city declined and development moved to newer districts. The area was nearly forgotten. It was the diversity of architecture that prompted the action of preservationists to form the Harwood Historic District in 1990. 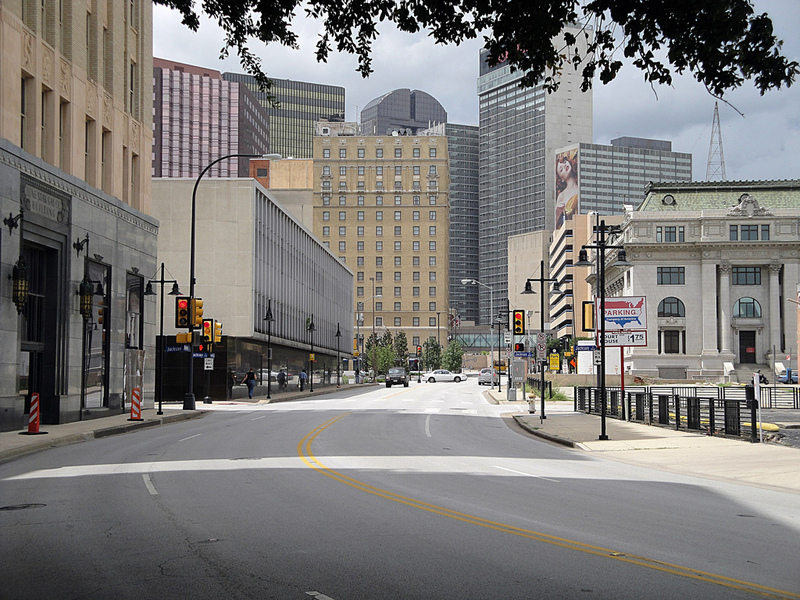 Although the district lacked a single time period of significance or cohesive architectural style, the the City of Dallas recognized that it served as an important cross-section of Dallas architecture from the 1880s to the 1950s. Today this spectrum of architectural and cultural history remains as the district revives with new life and opportunity. One can walk the district and spot styles ranging from Italianate to Beaux-Arts, Sullivanesque, Neo-classical, Renaissance Revival, Art Moderne, Art Deco and Modern. While facades of these structures are impressive, the history that lies within is just as interesting. The discussions on these pages hope to raise awareness of this landmark district. The area will continue to face many changes; opportunity will arise to move forward while also remembering the past. Your memories, observations and ideas for the future are important in giving the district recognition that it deserves.